http://syntheway.net - Promenade (Demo from Pictures At An Exhibition - Modest Mussorgsky) using VSTi Plugins software. Additional Info: Demo based on a famous suite of ten piano pieces composed by Modest Mussorgsky in 1874. 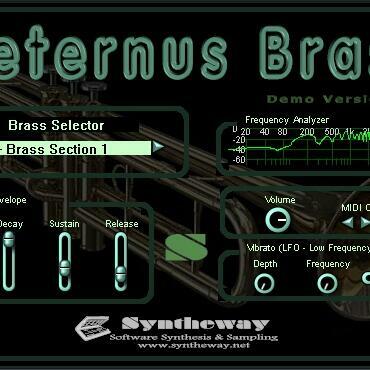 ..................... Software Description: Aeternus Brass VSTi: Is a Virtual Brass instrument, featuring solo Trumpet, Cornet, Trombone, Tuba, French Horn, Flugelhorn as well as Brass Sections and Orchestral Ensemble. Syntheway Strings VSTi: Is a "rich-sounding" sample based string VST instrument. Its Multisampled Ensemble Strings: Violin, Viola, Cello & Double Bass, has the ability to produce beautiful and lyrical lines, as well as powerful and forceful articulations. Syntheway Percussion Kit: Is a collection of percussion instruments designed for creating Orchestral Percussion, Auxiliary Percussion, Mallet Percussion, Latin Percussion and African Percussion.